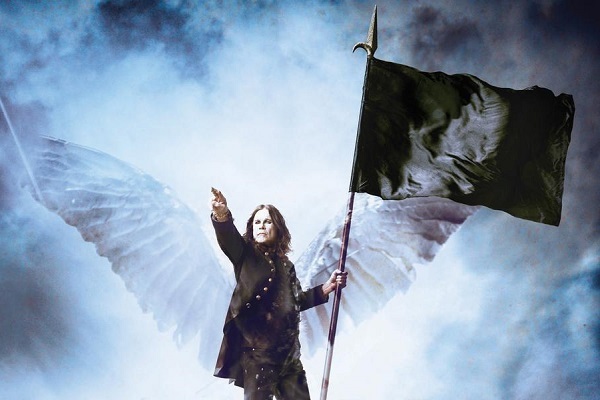 Ozzy Osbourne is healing from a recent hand surgery, so the metal icon has been forced to postponed a handful of shows on his No More Tours 2 run. Last Saturday’s (Oct. 6) concert at Shoreline Amphitheater in Mountain View, California, was postponed over the weekend, and now, two more shows have been added to the mix. Ozzy has moved his date in Chula Vista, California, tonight (Oct. 9) to Oct. 18, and his Oct. 11 date in Los Angeles has been moved to Oct. 15. Last Saturday’s show in Mountain View will now take place on Oct. 20. Tickets for all of the shows will be honored at the rescheduled date. Osbourne did inform fans that his surgery went well, posting a photo on social media of himself enjoying some ice cream in his hospital bed. “Feeling better after surgery. Ice cream helps,” the photo’s caption reads. Osbourne’s “No More Tours 2” tour is expected to resume this Saturday (Oct. 13) in Las Vegas at the MGM Grand Garden. Stone Sour has been severing as the opening act on this tour, and they’ll be at the Oct. 13 date, but an opener for the three rescheduled performances hasn’t been announced.